5 Bedroom Detached House For Sale in Alton for Offers in excess of £850,000. A unique and very appealing family home occupying a beautiful rural setting in gardens and grounds of about 2.51 acres. The property has been carefully re-modelled by the existing owners to maximise energy efficiency and take full advantage of the south east aspect and tranquil setting with spacious and flexible accommodation. Features of note include a large triple aspect open plan sitting / dining room and study area set around a central contemporary fireplace of Norwegian design and a Jotel wood burning stove. This is a magnificent room opening into the kitchen which is fitted with a range of cabinets, Corian work surfaces, integrated appliances and a Quooker hot water tap. The bedroom accommodation is principally set off the central hall and includes a master bedroom with an en suite shower room as well as two further bedrooms and a family bathroom. There are two further bedrooms set around a spacious study / hobby area to the first floor. The annexe could be utilised in a variety of ways (and is approached via a separate staircase) including as a home office or as ancillary accommodation as there is a recently fitted kitchen and shower room. 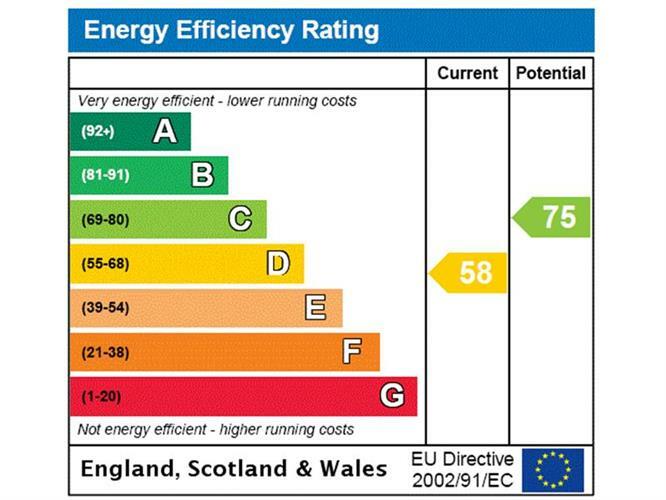 Importantly, the design of the property maximises the thermal efficiency of the property with cavity wall insulation, double glazed windows and an insulated roof which together with solar panels have created a very energy efficient family home. A feedback tariff of approximately £500.00 per annum has been received for the electricity generated from the solar panels. 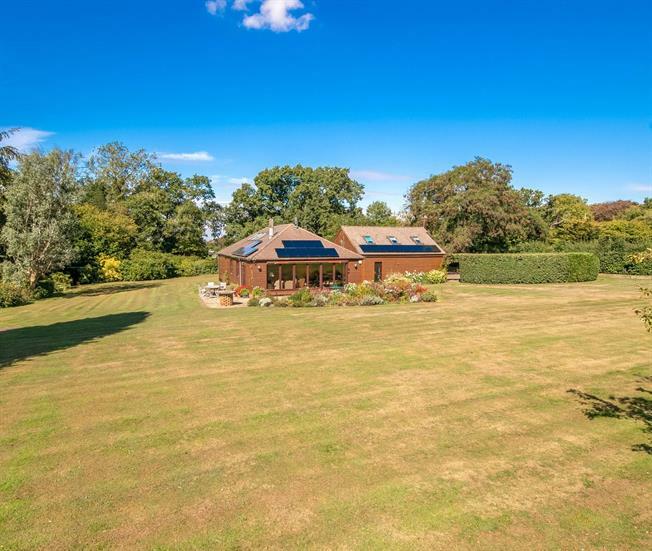 The property occupies a stunning rural location between the villages of Bentworth and Medstead, within the Parish of Bentworth. Bentworth is set amidst fine rolling Hampshire countryside and has a strong and active community with a public house, church, hall and highly regarded primary school. The market towns of Alton and Alresford together with the regional centres of Basingstoke and Winchester provide a wide range of facilities as well as mainline stations to London Waterloo (from 49 mins from Basingstoke). The property stands within attractive landscaped grounds providing a beautiful setting with areas of lawn, a herbaceous border, vegetable garden and an old chalk dell with a variety of trees. A paved terrace adjoins the sitting room and provides an ideal outside seating area. A private driveway provides ample parking and access to the garages. The paddock has separate vehicular access. Within the garden there is a summer house with an outside WC, potting shed and wood stores.